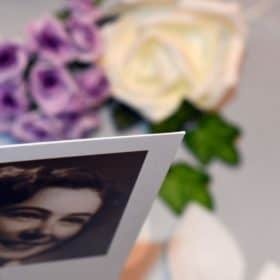 A funeral service is a very personal and unique event for your loved one. 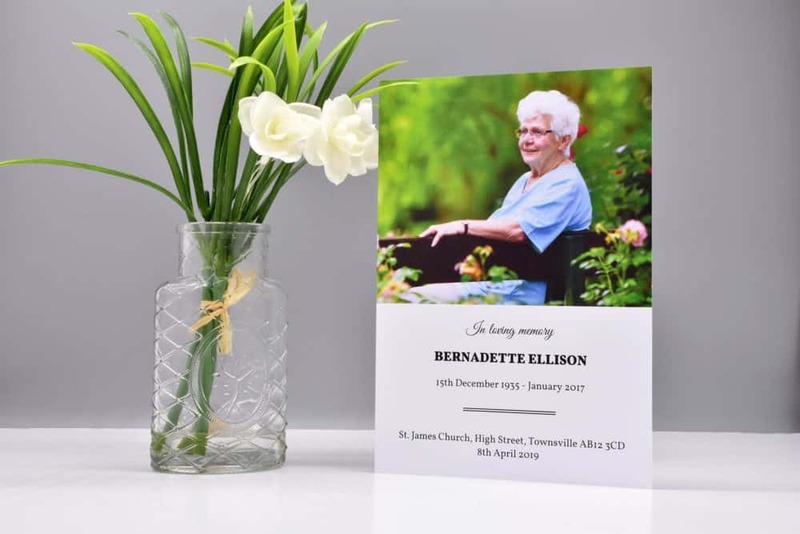 A Personalised Funeral order of service booklet provides a schedule of the ceremony and handed out to family and friends as they arrive at the service or sent to people who cannot attend. 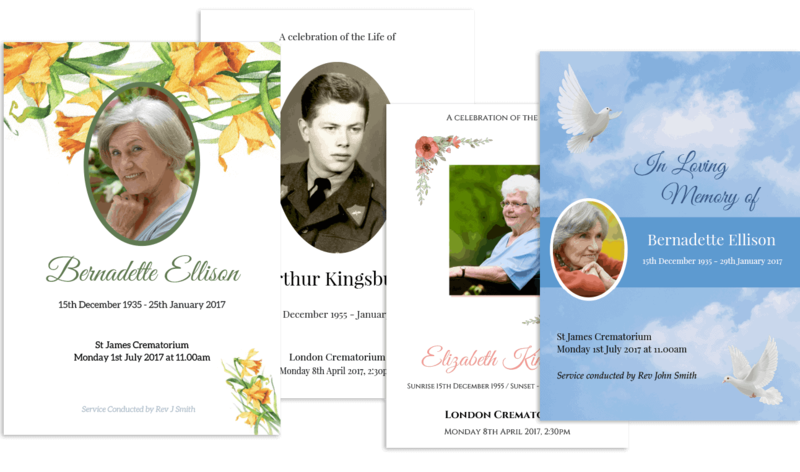 Create a personalised Funeral Order of Service online. 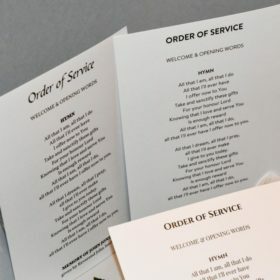 Select from over 70+ beautifully handcrafted order of service template designs, perfectly matched to those wanting to create a unique and uplifting keepsake for your loved one. 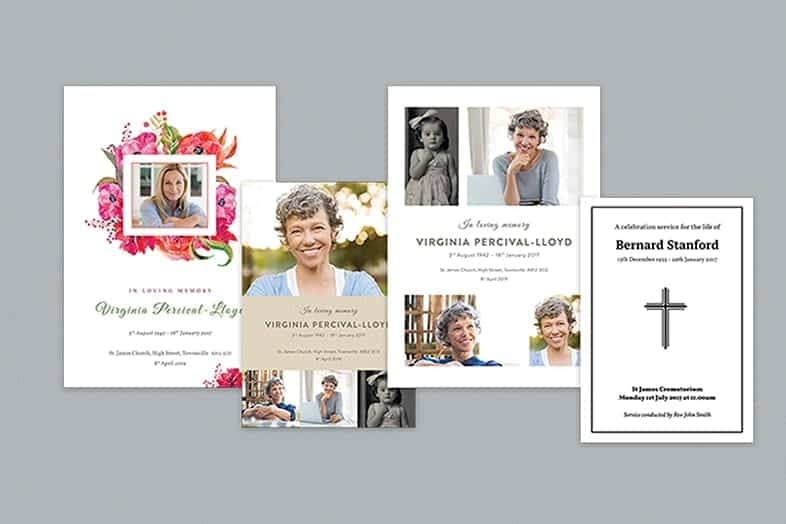 Choose from over 70+ beautifully crafted cover design templates and personalise with your own photos and wording. 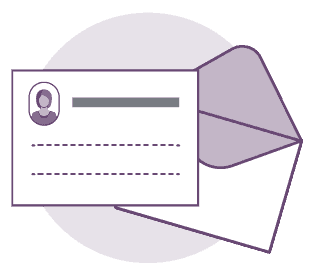 Simply complete pre-populated text options including the name of your loved one, date of birth and death, funeral time & location ou can even add your own quotes and messages. 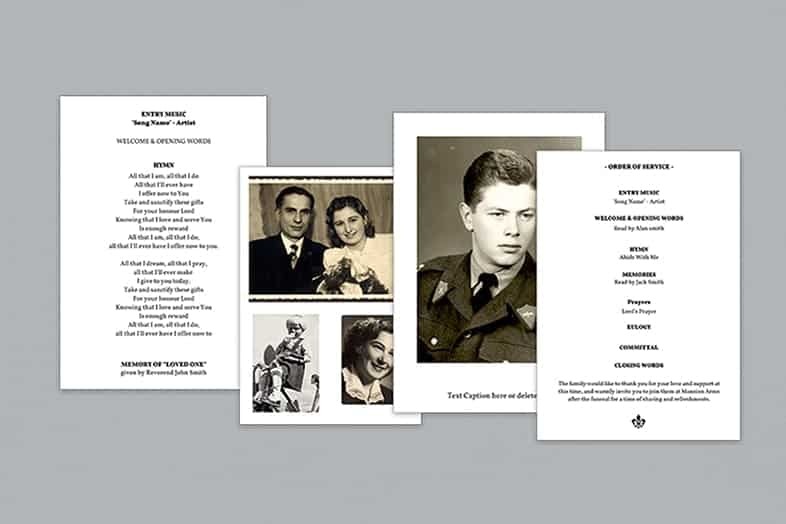 Create 2, 4, 8 or 12+ page order of service booklets using our editable page templates. 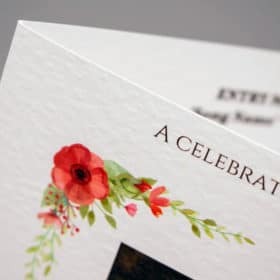 You have complete freedom to personalise the inner pages of your funeral order of service exactly to your requirements. 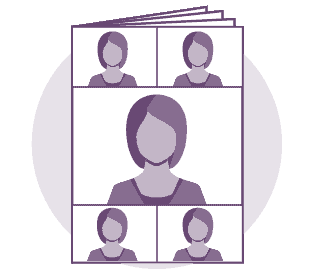 Choose from a range of different photo pages allowing you to upload photos of your loved one. 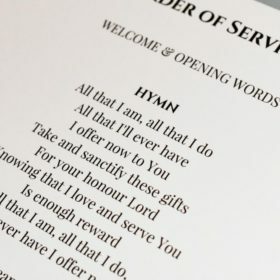 Paste or type in your own wording to include readings, hymns and prayers. 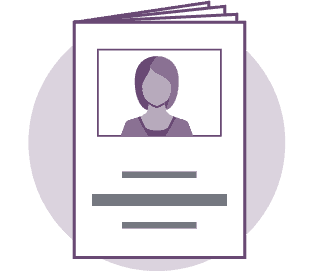 Select from our library of clipart including separators, page decorations, floral elements and much more or upload your own. 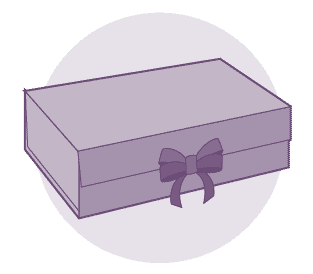 The online template editor allows you the freedom to personalise your funeral stationery exactly to your requirements. 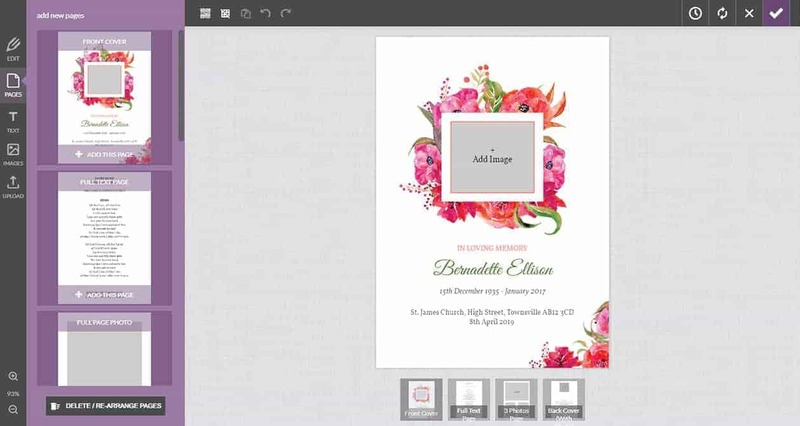 Insert cherished photographs, type or paste in your own text hymns, poems and readings. 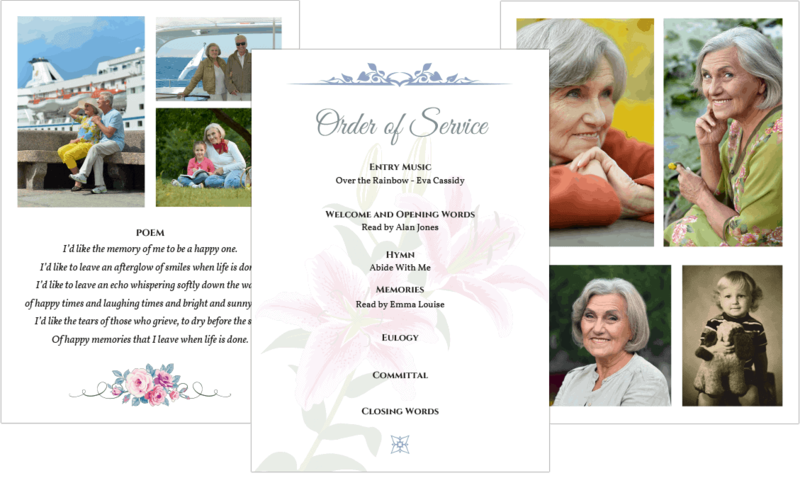 Create a personalised A5 funeral order of service online. 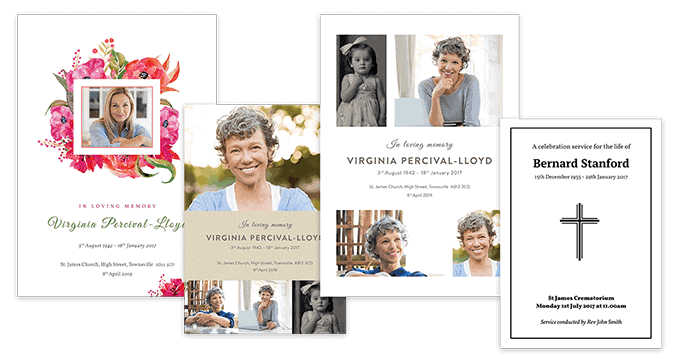 Select from over 65+ beautifully handcrafted template designs, perfectly matched to those wanting to create a unique and uplifting keepsake for your loved one. 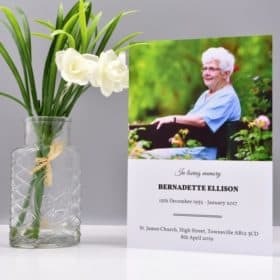 You have complete freedom to create any type Order Of Service, Memorial Service, Celebration Of Life, Obituary, religious including a Catholic funeral order of service. 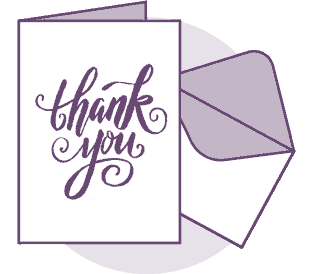 Choose from a variety of card – from Silk finish cards to our White and Ivory Signature Matte. 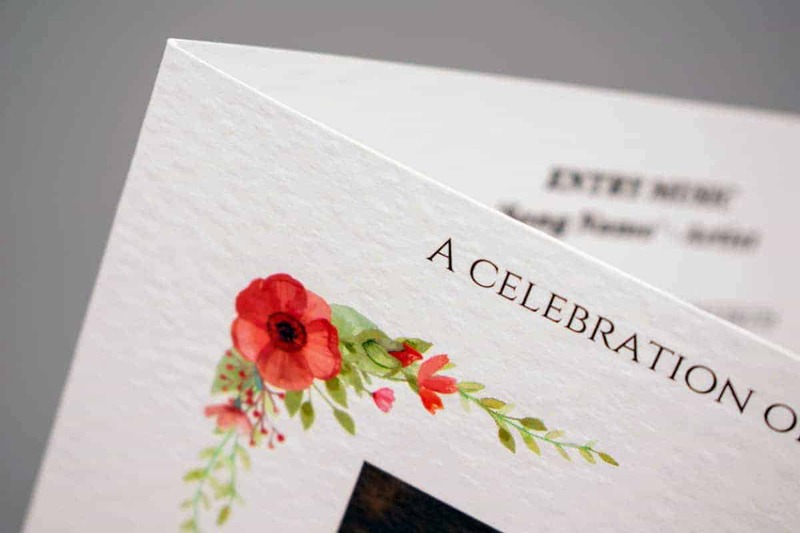 Or, choose the premium textured finish for the highest quality cards that will be sure to be remembered. 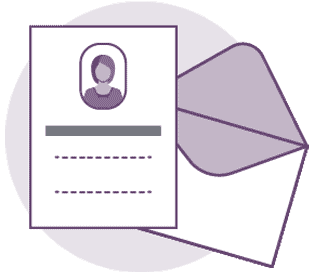 Our free online template editor allows you the freedom to personalise your order of service exactly to your requirements. 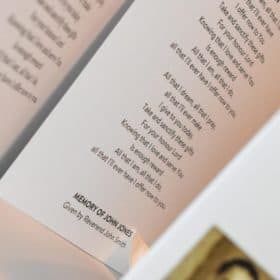 Insert treasured photographs; type or paste in your own text including hymns, poems and readings. 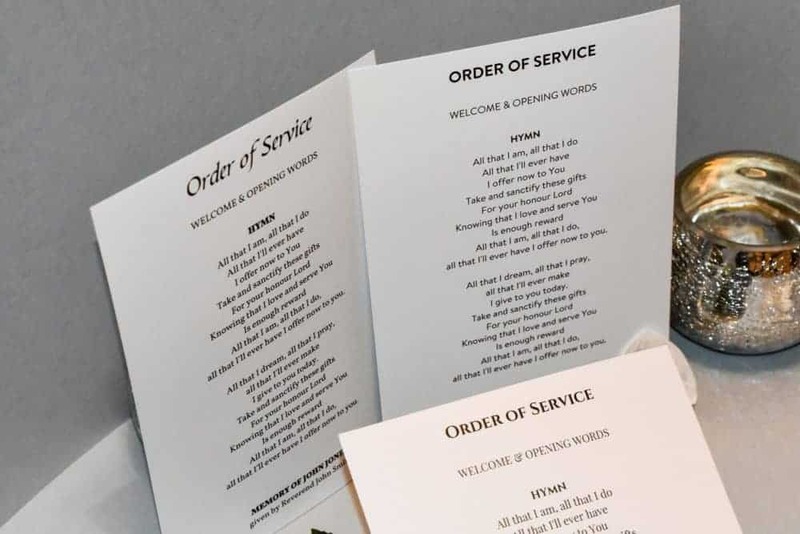 Create 2, 4, 6, 8 or 12-page order of service booklets using our editable page templates. 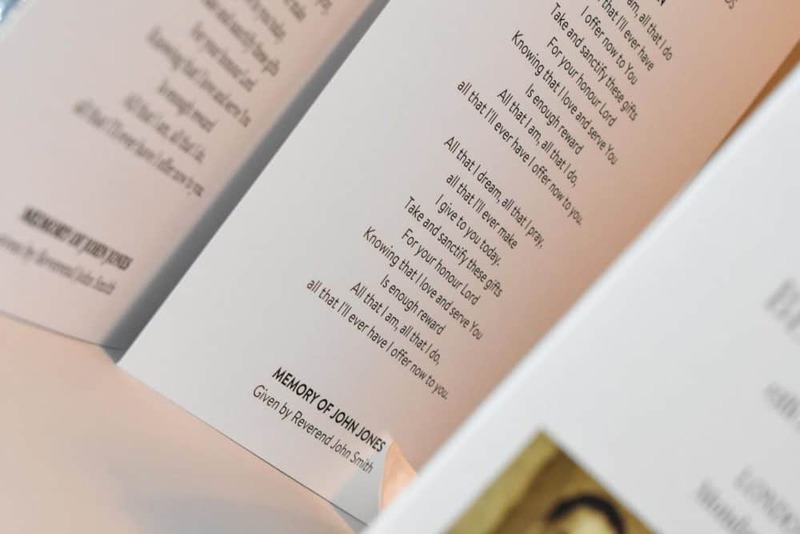 In a straightforward and user-friendly process, you can personalise the inner pages of your funeral order of service to your exact wishes. 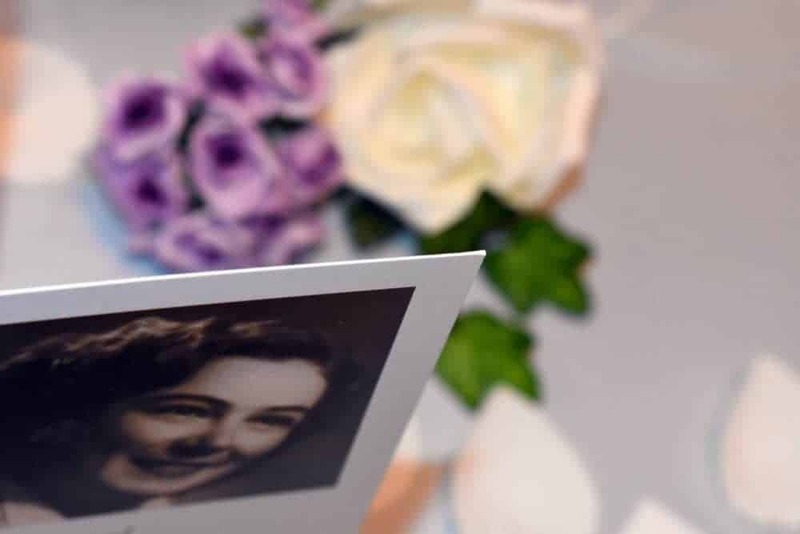 Select from a range of different photo pages that allow you to upload cherished photos of your loved one. 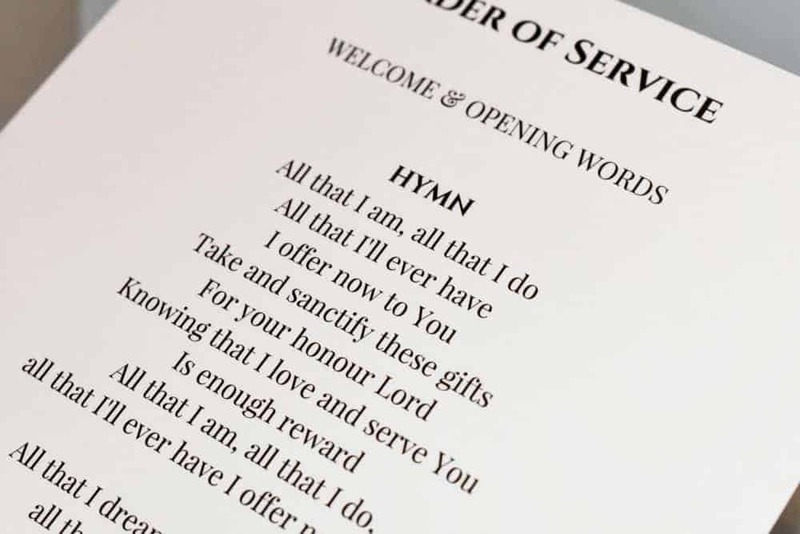 Use our text page to paste or type in your own wording to include readings, hymns and prayers.